Looking for a new phone without burning your budget?The OPPO A83 2018 smartphone slashed off PHP 2,000 from its original price and now retails for only PHP 6,990. 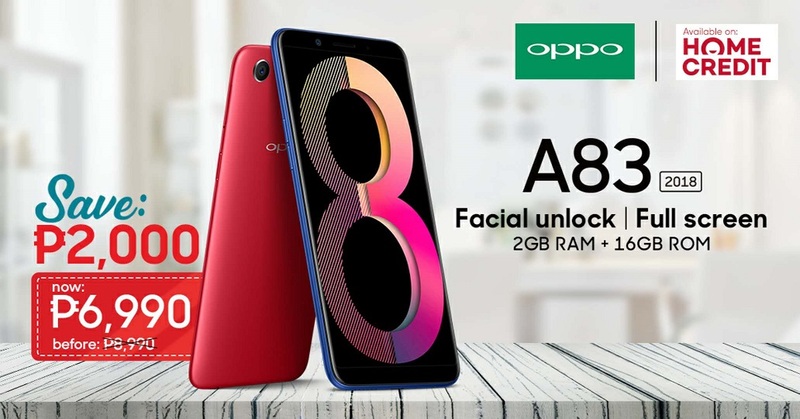 Available in red, gold, and black colors, the A83 combines OPPO’s signature A.I. Beauty Recognition Technology with a 5.7-inch HD+ screen, 13MP rear camera, 8MP front camera, 3180mAh battery, and a personalized speedy facial unlock function which users can now enjoy at an even more affordable price point.